It could help enhance human intelligence and even treat paralysis. The U.S. Department of Defense has created six consortia to develop brain-computer interface (BCIs) technologies and is backing them up with a $65 million investment. On July 10, the Department chose Paradromics Inc., and neural interface company, to lead one of the six groups. Among the goals will be creating technologies that can stimulate millions of individual neurons inside the human brain and record their activity simultaneously. The ability to record activity from massive numbers of neurons is critical to the creation of any kind of high-throughput connection between computers of any kind and the human brain, including devices intended to restore lost senses or abilities. The federal contracts, distributed by the Defense Advanced Research Projects Agency (DARPA), all focus on cutting-edge BCI technologies, including holographic microscopes for observing thousands of neurons simultaneously, wireless “neurograins,” the size of grains of sand, light-emitting diodes to blanket the visual cortex and restore vision, and flexible circuits for layering onto the brain. Paradromics is taking up to $18 million of the total investment, and in return it is tasked with creating an implant that can record from one million neurons and send the signal back to the brain, all in a package not much bigger than a nickel. The technology Paradromics will incorporate is an outgrowth of a technique a Moldovan company uses for stretching hot metal to mass-produce extremely fine, insulated 20 micron-thick wires in coils, Matt Angle, who is leading the Paradromics team, told MIT Technical Review. In the case of the BCI final product, spools of wire can be bundled together so that the thin wires are in groups 10,000 wires thick with a sharp, brush-like edge to pierce the brain like needles, causing minimal damage. At the other end, the bundle of wires will be joined to a microprocessor. This will detect, tally, and analyze the electrical signals coming from the brain through the wires. For Paradromics, the ultimate goal is a high-density connection between a computer and the brain’s speech center which could let the device perceive the words a person is considering before they’re even said. This would allow the implant to be used to help patients with ALS who have lost the power of speech to speak again, for example. However, the technology could have much broader applications; it could also enable neuroscientists to observe the ways that massive networks of neurons control and create complex behaviors and perceive sensory stimuli. This kind of technology may even allow neuroscientists to parse out how the brain creates consciousness — and how to mimic that ability. 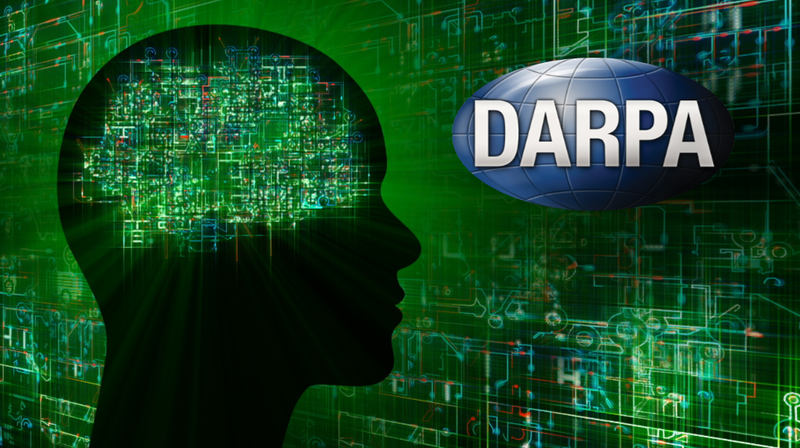 At this point, DARPA is just one player in the game. Details about Elon Musk’s Neuralink were revealed in April, and if what he predicts comes to pass, users will be able to “think” to each other to communicate in eight to 10 years. Transcranial direct current stimulation is also being explored for its potential in treating neurological diseases. 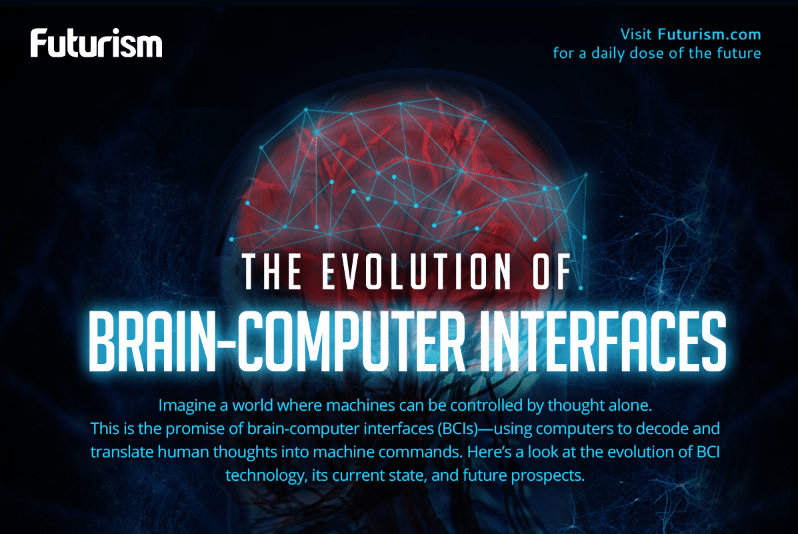 It may also help enhance human intelligence and function as a technological checkpoint toward achieving Neuralink’s neural lace and other BCIs. Other non-invasive, genetic, and pharmacological brain augmentation work includes: electroencephalogram systems; wearable MRI systems; functional near-infrared spectroscopy; nootropics; molecular drug treatments; optogenetics; and implanted neurons. As technologies advance and researchers come closer to achieving their human augmentation goals, we may see these techniques employed together — or an optimal technique emerge. How Will We Keep Our Thoughts Private in the Age of Mind-Reading Tech?